Red LED on: Mains power supply is normal. Red LED off: Mains power supply abnormal, check incoming supply and cable connections. Individual protected PTC type fused outputs. Outputs PTC fused rated 1.1Amps at 2.5A/4sec. A single channel short may cause a temporary disconnection (1 sec.) of other channels. At least one second to auto rework, after removingan overload condition. 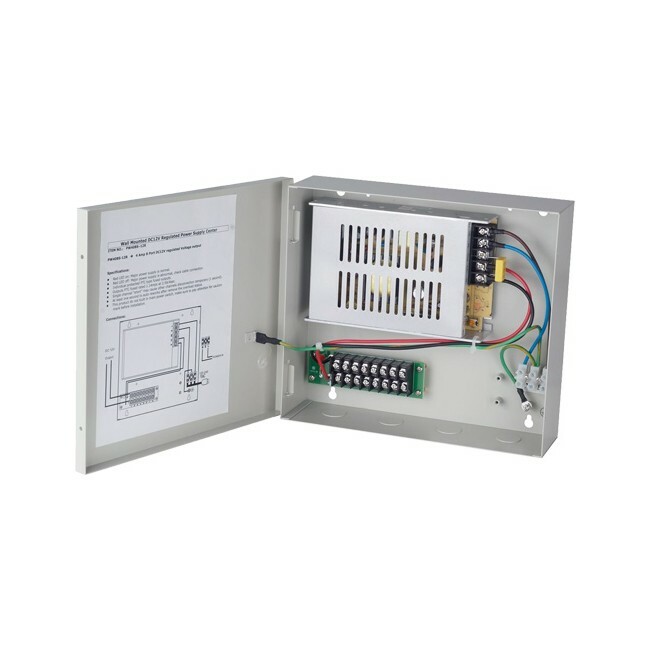 This product does not contain a built in main power switch, take additional care when connecting or isolating incoming mains supply. Note all warning labels.